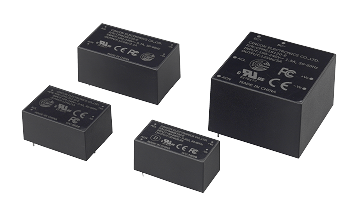 Cincon Encapsulated AC-DC power supplies comes in all sizes, ranging from 6W to 100W. All products are approved for IEC62368-1, UL62368-1, EN62368-1, as well as EN55032 Class B and CIRSS/FCC Class B. For some of our latest models, they meet EN61558 (60335), and include a unique feature of 200% peak load feature. This special 200% peak load feature fulfills the need to customer sudden needs of power for a short period of time, and can now avoid choosing other products that are over-spec, save on cost and layout space/footprint consumption.